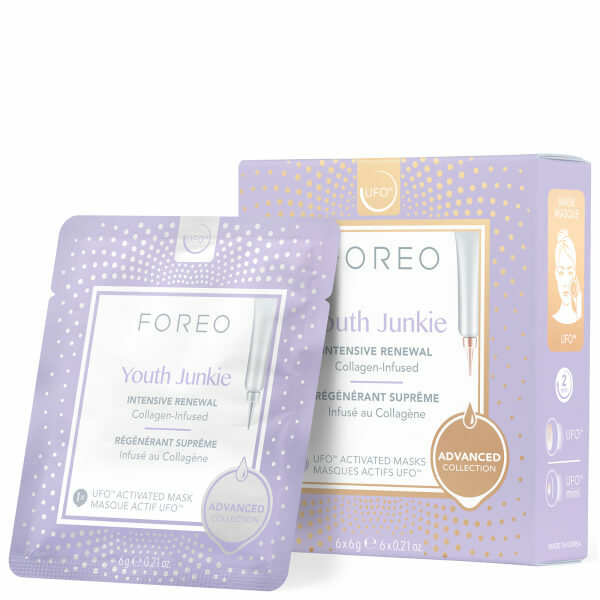 Transform the look of your skin with the FOREO UFO Youth Junkie Mask, a Korean-inspired face mask specially formulated to be used in conjunction with your UFO or UFO mini smart mask treatment device. For maximum efficacy, the anti-ageing face mask has been developed and formulated by top Korean skincare experts. Made from plush microfibre that glides across skin, the specialised sheet mask is infused with a highly concentrated blend of active ingredients that absorb into skin to help reduce signs of ageing. The plumping face mask is infused with Collagen to help improve elasticity and reduce the appearance of fine lines and wrinkles. 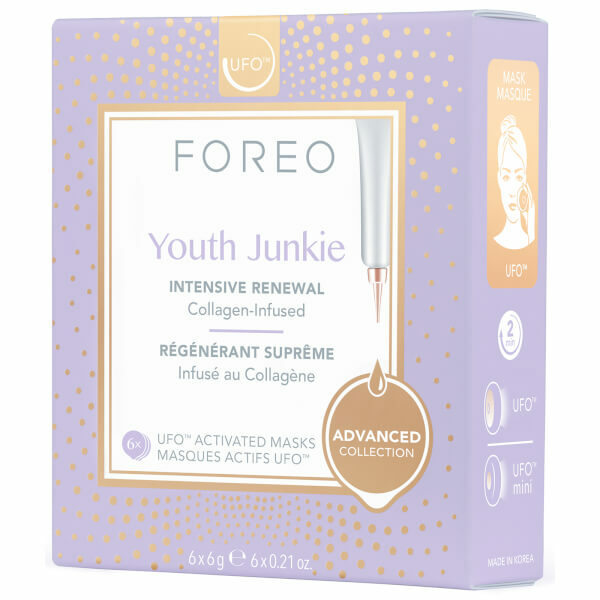 It also contains a deeply nourishing Age Renewal Complex and antioxidant Vitamin E to protect against external aggressors. 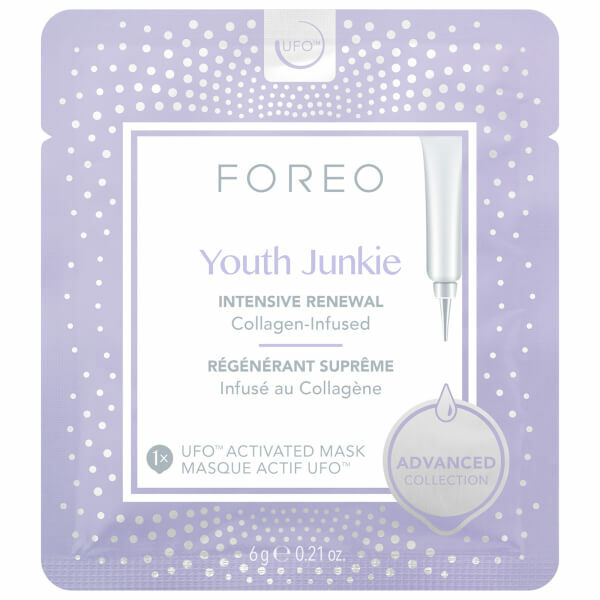 Pair with a UFO or UFO mini for an age-renewing facial treatment. Skin feels firmer and lifted with a more youthful appearance. Free from parabens, phenoxyethanol, silicones, disodium EDTA and mineral oil. Remove UFO's transparent outer ring. Secure smart mask in place. Press to activate and select treatment. Enjoy spa-level facial at your fingertips.